The beach is deserted and off in the distance you can hear the cries of sea gulls. The beautiful rocky shoreline of the cove caught your attention immediately, and you decide that is where you should spend the night. While there is still daylight left, you decide to spend some time exploring the beach. It feels good doing this together with your friends, you will be able to share the experience. That's why you chose sailing in Croatia. If we got your attention for a moment, let's take a look if sailing is for you by going through some facts. Sailing in Croatia is for those who would like to sail, explore and enjoy the beautiful Croatian coast and islands - Istria, North Adriatic, Dalmatia and South Adriatic. Croatian coastline is 1777 km (1104 miles) in length and there are over 1000 islands and beaches, coves and islets are there to explore and adventures to live! Croatian Adriatic is crystal clear blue sea and swimming is one of top thing to do in Croatia. Depending in a level of engagement you are willing to do, there are three types of sailing you can do in Croatia. You could charter a bareboat and take care of everything by yourself, charter a skippered boat with a skipper who will control everything and maybe ask for some help or choose fully crewed charter. If you have a valid skipper's licence and experience in sailing, this is probably the only acceptable way in which you are to experience sailing in Croatia. You plan out your own itinerary, take care of your finances, choose marinas/anchorages and how long you are going to sail. This type of sailing is most affordable, but requires knowledge! Okay, so you have been sailing once or twice, you liked it and want to do it again, but bareboating is not for you. Charter a boat with a skipper! An experienced skipper will be responsible for manoeuvring and suggesting places to visit, many of them not noted in your guidebooks. You enjoy total freedom with this option: you can choose which boat you can sail on, prepare your own meals, manage your time and as a bonus you have an experienced skipper next to you. This is the most comfortable and enjoyable way to sail the Adriatic and usually is related to gullets and luxury yachts. You enjoy the hospitality of a full crew taking care of you on board, pampering you, preparing the meals and showing you the hidden coastline gems. The routes are mostly predefined, such as romantic escape routes and similar but you can always suggest an itinerary you'd like to follow. Most popular sailing areas in Croatia are in regions of Pula (Istria), Rijeka (Kvarner), Zadar, Sibenik, Split and Dubrovnik. In Pula region, other than exploring the red and green coast, true pearl is the Brijuni National Park. It consists of two large and twelve smaller islands. Brijuni is unique blend of nature and cultural heritage. Mild Mediterranean climate with lots of sunshine resulted in lush flora. Rijeka can offer you something different before going on the beaten path to Kvarner islands. Rijeka has been a large harbour town for few centuries and it would be a shame to miss relics of past times. Why wouldn't you want to take a peek at Viktor Lenac and 3.Maj shipyards, beautiful Kostrena beaches, former oil refinery, torpedo launching ramp where torpedo was invented, and Opatija, the 'Pearl of the Croatian cost'. Zadar region is known as more "friendly" for sailing than other regions. Wind is always the same and predictable, there are lots of islands and coves to explore and hide in case of need. As soon as you sail out of Zadar, beautiful islands such as Dugi Otok, Zirje, Silba or Premuda will call you out to explore them. Šibenik, a true delight for sailors! You have two national parks to explore! National Park Krka and its beautiful lakes and waterfalls and Kornati National Park - a series of islands whose beauty words can barely describe. Sailing from Split usually means that you chose the most comfortable option. Crewed boats sail from Split to Dubrovnik (and back) and stop on Hvar, Brac and Korcula. Good thing is that if you want to go for other two options, Split has largest selection of boats to choose from. 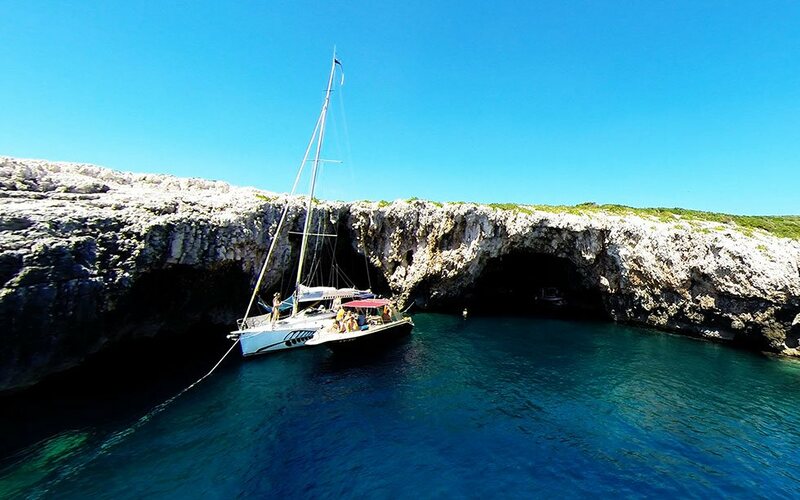 Sailing in Dubrovnik understands exploring Elaphite islands, coast of Peljesac and mooring in National Park Mljet. Just sailing under the Old Town Dubrovnik city walls is an experience that you will be telling of for years! This areas climate brings plenty of sunny days and high temperatures on the whole Adriatic, with minimal during differences between the nort and the south during summer. Daily temperatures range from 28 to 35 Celsius degrees with night temperatures (which are getting higher year by year) usually from 24- 30 degrees (yes..that's hot!). The sea temperature generally ranges between 23- 28 Celsius degrees during the summer. Temperatures start to drop slowly in mid- September due to the temperature difference between day and night. The Adriatic and thousands of its island and islets are a beautiful playground for sailors most of the year. The best time to sail is from early April until the end of October. The summer months of June, July and August are a centre of tourist season so if you're planning to sail in these months you'll enjoy lot of happenings but be sure to book early enough. Also, in these months it could be difficult to find free berths in some attractive places on Adriatic so be prepared for possible plan changes. April, May as well as September and October are not overcrowded and the weather conditions still guarantee a pleasant holiday. Chartering a yacht/boat usually takes place far in advance, because finding one during nautical season is hard. What you should keep an eye out are discounts! Early booking and first minute bookings always guarantee a discount, so as a contrast to usual last minute offers on tours, you should charter as early as possible. Take a look at YachtRent's explanation on discounts to learn more.